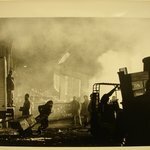 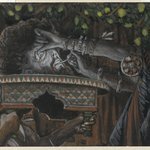 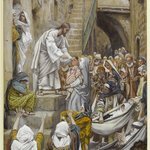 This episode reveals Jesus’ concern for the outcasts of society: in this case, those afflicted with leprosy, a chronic disease. 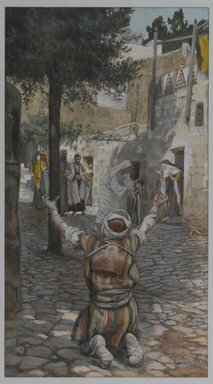 The leper kneels in the center foreground of the image—dramatically making his plea to Jesus with his bandaged arms upraised. 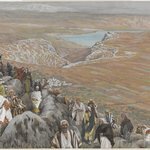 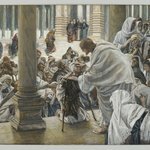 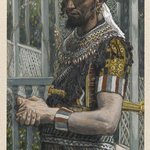 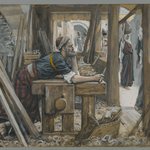 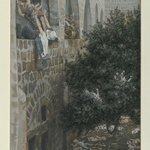 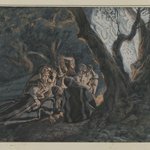 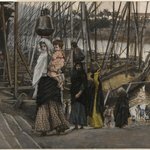 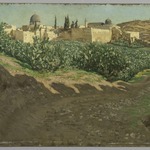 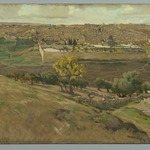 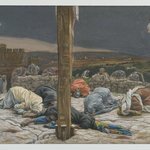 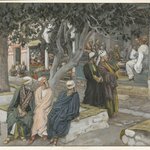 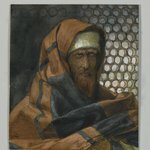 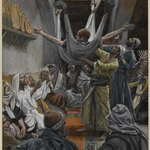 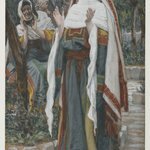 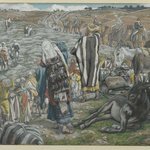 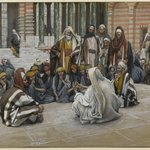 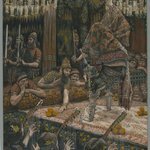 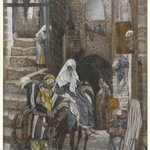 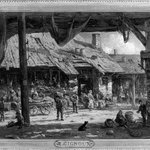 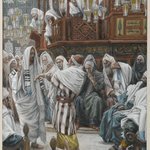 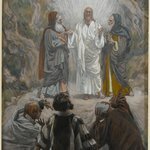 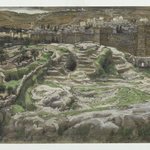 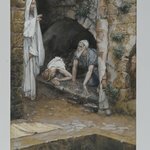 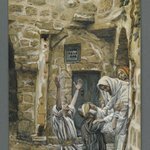 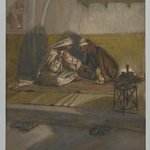 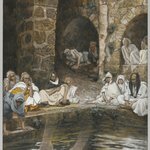 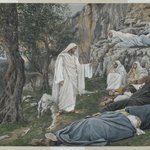 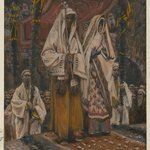 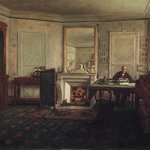 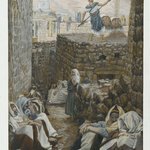 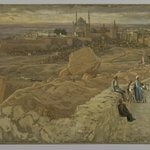 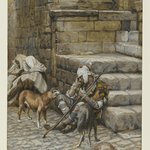 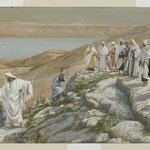 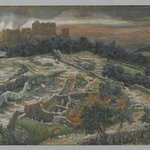 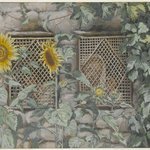 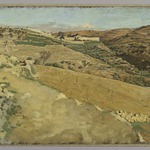 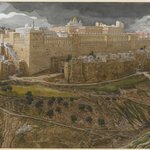 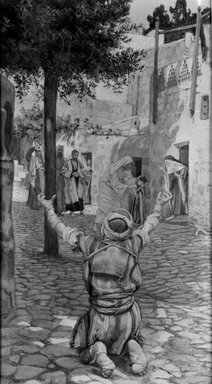 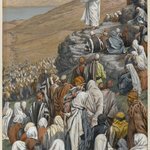 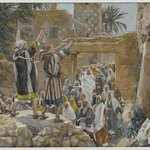 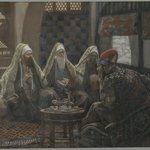 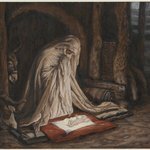 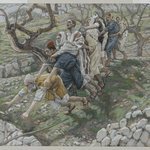 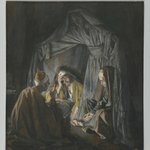 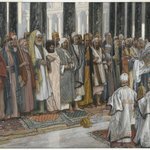 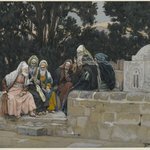 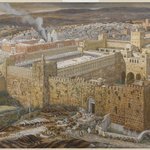 Referring to ancient laws regarding the lepers, Tissot writes that the man occupies the center of the road to permit the healthy to pass with ease on either side of the path. 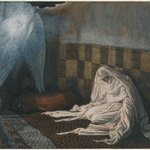 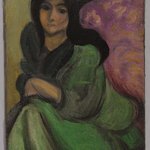 In the Gospel text, Jesus later urges the healed man to keep quiet about the specifics of the miracle but to seek the priests, to acknowledge his cure and regain his place in society and in the Temple.